And finally, we are now all GROWN UP! Be inspired by our GROWN UP mood board to create your page. **NOTE** your photo can be of anything - not necessarily a "grown up"
I loved the colours, feathers and sparkle! 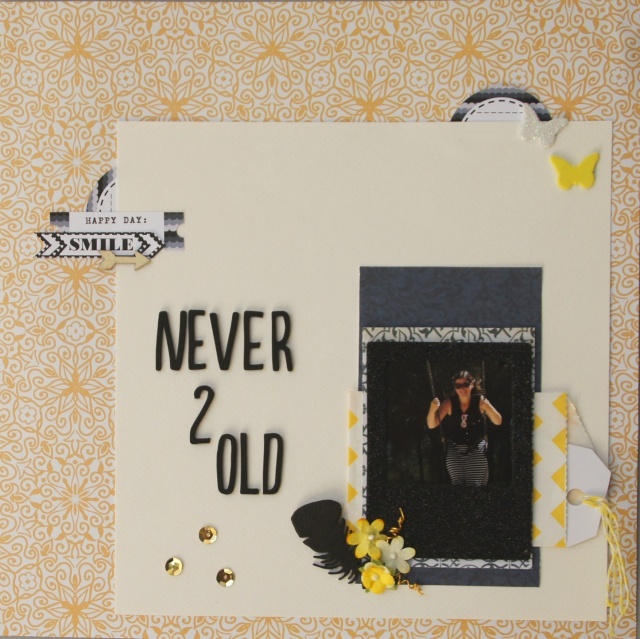 The winner of this challenge will receive a prize pack from Scrapbook Divas!! I love this mood board!!! Yes, it's not very often at all that I do a page of just myself!!!! Do we add our layouts in here or wait for a gallery? 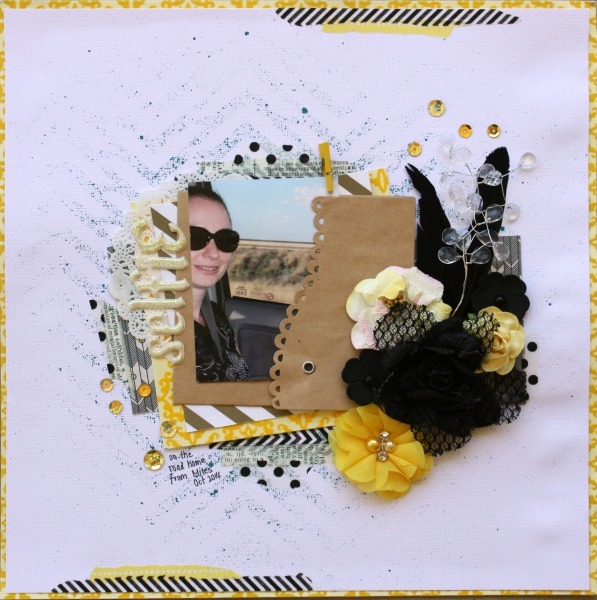 what an awesome layout Bridget, perfectly placed embellishments and I love that base patterned paper with the yellow/orange! Oh what a fabulous take on the challenge, Bridget!! 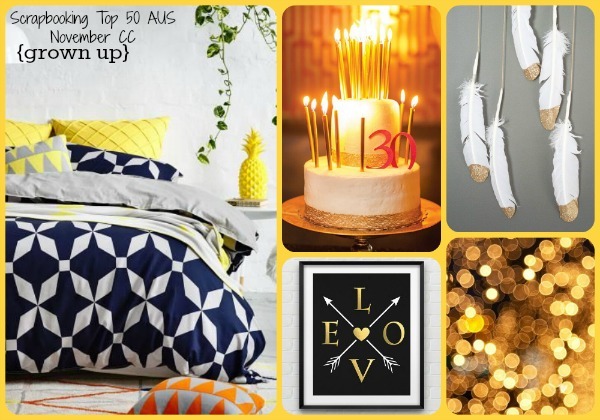 Love the pops of yellow and black! Sorry I forgot the galleries before I went away, have just added them now! Thank you, I put the page into the gallery, should I delete this one?